Toy Steam Accessories covers the principal types of accessories for toy steam engines and covers their production between the two world wars. The book also provides information about the major firms that manufactured accessories, especially the great German toymakers. Author Marcus Rooks provides a history of steam accessories from their beginnings in the nineteenth century to their virtual end brought on by the great depression of the 1930's. 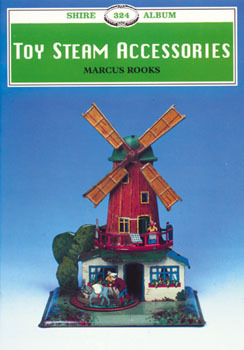 Also included are tips on collecting and caring for toy steam engine accessories.